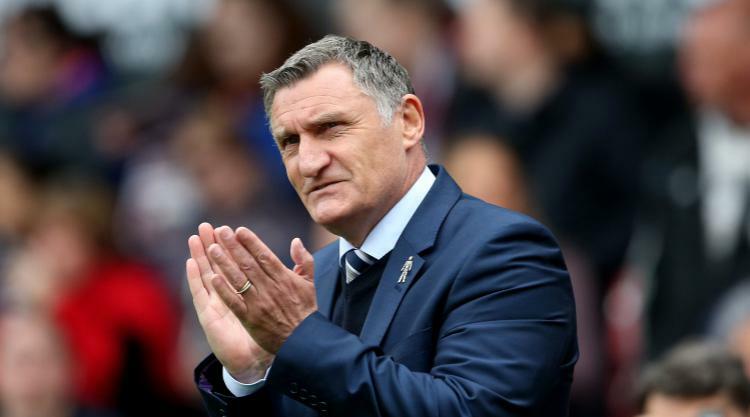 Blackburn boss Tony Mowbray backed his relegated side to bounce straight back to the Championship if they show the same desire they did in the final-day beating of Brentford. But he admitted showdown talks with the club's owners were on the cards, with the outcome potentially playing a pivotal part in Rovers' future. The Lancashire club dropped into the third tier for the first time in almost four decades despite Sunday's 3-1 win at Griffin Park, with Nottingham Forest and Birmingham also victorious. And Mowbray, who has led a revival which has seen just three defeats in 15 games, said: "I am disappointed now but we have to try to keep the spirit we showed here and, if we do, the club will be very strong in League One next year. "It's decided over 46 games and at the end of the season everyone at the club from the players to the medical team and the analysts have not been good enough to stay in this division." Mowbray praised his players' spirit as they refused to stop going in search of goals that might have changed the complexion of the relegation battle. "There have been games we've drawn that we should have won, but the harsh reality is if you don't get enough points you can't argue with the outcome," said the 53-year-old, whose side finished below Forest on goal difference. Blackburn's demise has been a long time in the making and is arguably a result of a lack of investment from controversial owners Venky's. There was little sign of that on Sunday, though, with goals from Charlie Mulgrew, Danny Guthrie and Craig Conway - the latter from the spot after Bees skipper Harlee Dean had seen red for a professional foul - killing off lacklustre Brentford. Mowbray said: "We have to take it on the chin. It's going to be a huge summer for us in terms of recruitment, and conversations with the owners are coming - we have to recruit well, be strong next year and bounce back. "We need to keep our under-contract players. If we do, we will hopefully be too strong for a lot of clubs in League One. We just need to turn the ship around and get promotion." Brentford boss Dean Smith was disappointed his team could not make the most of their second-half possession. "We wanted to finish the season on a high but there were a lot of tired legs out there - at the end they were putting their bodies on the line and that showed how much it mattered to do their best for the other clubs down there," said Smith, whose side ended the campaign in 10th spot. "It was what we were doing when we didn't have the ball that annoyed me in the first half. I gave them a rocket at half-time and we started the second half quite well but couldn't make our possession count." He added: "They took an early lead and that set the pattern for the game, so when they got a second we didn't react like we should have done, which was disappointing and not the way we wanted to end the season. "I feel for Tony. He has done a great job there and if he's allowed to keep the players he has, and the club keep him, then I'm sure they'll be knocking on the door to come back up next season."